In this page you will find all the products that you can purchase directly from Luca Volpe. Some of these products are available also in printed format through many dealers worldwide. In questa pagina troverete tutti i prodotti che potrete acquistare direttamente da Luca Volpe. Alcuni di questi sono disponibili anche in formato libro da molti dealers mondiali. THE CONNECTION is a limited release book that includes “The Connection Act” as performed by Luca Volpe on stages all around the world. In the books there are also explained other Q&A routines along “The Door of Dreams” a wonderful routine using the haunted Key, for the first time explained by Luca Volpe. Copies limited to 180 units. Please send email to Luca Volpe with proof of purchase to get the performance rights. A mind reading act where you are able to “connect” with multiple spectators. It uses a combination of classic methods that will make it a joy to perform. Step by Step guide on how to maximize your image through social media and improve your business! Luca Volpe and Alex Le Fanu have decided to reveal all the tips and tricks on social media marketing in a book that is specifically written for mentalists and magicians. We all know how important it is to engage our audience using facebook, instagram and many other forms of social media and in this book you will find everything you need to help you create a professional image for this. Also, as bonus, you will find routines with a social media theme, one of which is a modern Q&A act that Luca Volpe will reveal for the first time in this book! If your goal is to use social media at it’s best, then this book is for you! Limited release 50 sets worldwide. Price 500 euros. Contact Luca Volpe for payment info. If you are a professional mentalist you know how much it costs to hire a consultant to prepare a single routine for your show, well The Social Network Act is the routine that you are looking for and for a lot less than what you would pay for a consultancy! I have performed this routine for years, I still close my show with it and I use it all the time for my corporate shows. I am sure many collegues have something along the lines of incorporating social media into their routines but this has a structure that has been perfected over the years and is guaranteed not only a standing ovation but also an incredible promotion of your image and brings repeated bookings. The routine involves all of the audience and can be performed even for a crowd of 10,000 people. It is very entertaining, with a triple final ending and an encore that will have your audience talk about you long after the show has finished. It will also guarantee you a terrific promotion on your social networks. For obvious reasons I can’t explain the full act here as it would be too easy to copy.What you are paying for is not only the props that allow you to perform the routine, but mainly the idea behind it that has been perfected over the years. In the book you will find not only the full routine and the script that I use but also many other ideas and variation to present this act in any kind of performance situation. Included in the act you will aslo get a 1 hour Skype consultation (worth 100 euros) in which I will go through the full act with you so that you can grasp all the nuances and allow you to present the routine in the best way possible. 1. 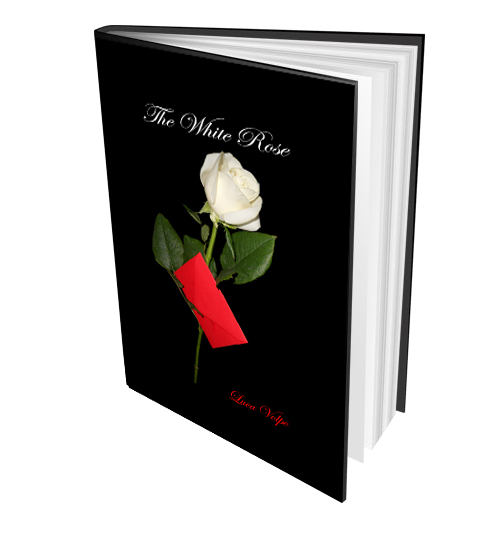 Professional mentalism routine all explained in a limited release hardcover book. 2. TBC BOX plus extra booklet with 12 routines and ideas. This is a professional prop that has the value of 130 euros. thought of, so that you can start .You will also find a live video of me performing the act. 5. Printed right performances certificate. 7. Plastic box to store all of the act. 9. Secret Facebook group where will be shared ideas on the routine. Price for the full package is 500 euros. Price: 145USD. Contact Luca Volpe for payment info. 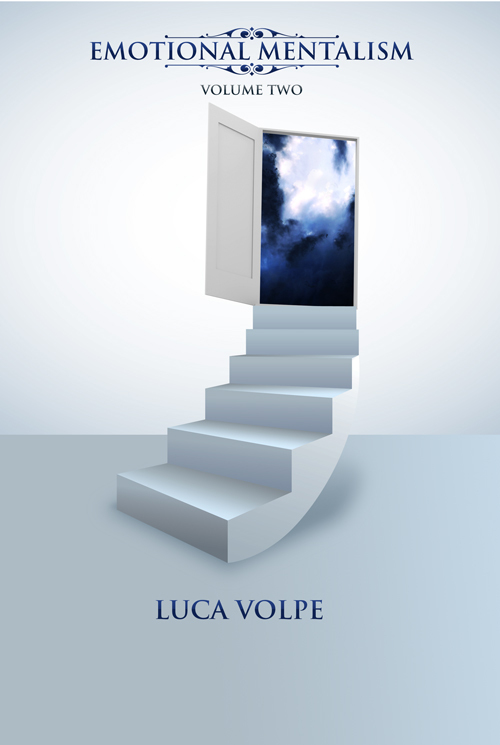 Luca Volpe is back with a limited-release book that many people in the mentalism community were waiting for. The release of this book was somewhat announced in the previous, now sold-out book, The Psychic Show, and from that moment hundreds of performers from all around the world have been contacting Luca, asking when and if this book was going to be available. “The Box of Dreams” is a full stage show that can last up to 45 minutes (dependent on presentation style). It includes a wonderful Q&A Act with a “dream/goal” theme. The method is a technique that Luca has developed over years of performances world-wide, yet it is so easy and bold that you will love it! This is a show that Luca Volpe still performs and is advertises on his website! This is exactly why the book is limited to only 180 people in the world. The Box of Dreams effect (from the audience perspective), is a complete stage act, using the exact script that Luca uses. 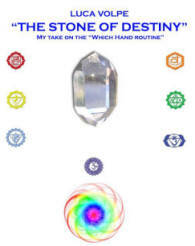 Additional content even includes thoughts on executing readings, how to use pendulums, crystals and other applications. Additional content: In the book is also included a bonus routine for couple that will join the performer in the one on one performances. Routines for stage and close up using The Wishing Stones,including also a bonus routine on how to use the wishing stones before a Q&A act (Q&A Prelude). Andreas Sebring contribuited to the book with a full emotional routine and a reading system. In this book Luca Volpe and Alex Le Fanu have taken a very underused concept in mentalism and re-engineered it in order to create amazing mentalism routines that you can perform anytime and anywhere! Discover how to guess a spectator’s pin number without asking them to write anything down. Guess a thought-of object. Perform an Incredible A.C.A.A.N. Learn The Invisible Force. All the routines are audience tested and can be performed for close-up and stage. “Powerful Words” is a fully structured and scripted mentalism show for corporate performances.The show is designed to fit in a small bag and only requires props that you already have or that you can purchase from any stationery supplier. Corporate companies are willing to pay good money for a ‘tailor made’ performance and this show is structured around a motivational theme that can be easily adapted to each corporate client. The show duration is 30 minutes or more depending on your performance style. Plus you will find links to download all necessary graphics you need for the show. The only requirement is a double blank bicycle deck that can easily be obtained from all good magic shops worldwide. If you want to impress your corporate audience with a guaranteed standing ovation then this is what you are looking for! In this book Luca Volpe will take you on a journey in his mind, presenting a full stage show that will fit in a small box and will play really big! It is a show that Luca Volpe has performed on cruise ships for many years that has been tested through hundreds of performances. He selected his best material from his lectures and repertoire and updated it with tips and ideas that have never been revealed until now! Not only that, Luca Volpe will tell you how to promote your show and how to brand yourself, choosing the best marketing material, plus advice on audience management, cruise ship work and much more! You will learn about his personal approach to “Meaningful Mentalism”, where he will take you inside the wonderful world of the Psychic Entertainment, teaching you routines that will allow you to connect with people on a very personal level. Also included is the “Psychometry Q&A Act”, where pendulums and Tarot will work together in harmony, creating a simple but effective act which will require no preparation or long setup. As a bonus you will also find links to download videos and graphics files that you will need for some of the routines in the book. Within this book you will find years of experience in show business, that will help you get started or will inspire you to develop new approaches and ideas toward the Art of Mentalism. 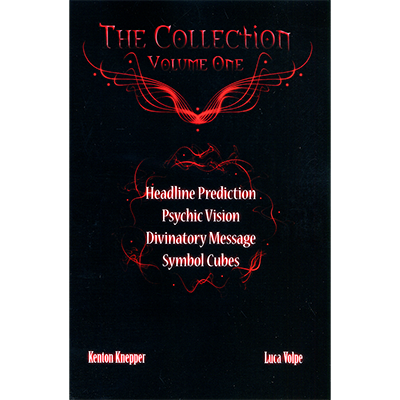 The Lucky Envelopes 3.0, Psychometry Drawing, The Imaginary Journey, Pin Number revelation, The Key of Fate plus Bonus Idea (never revealed before), Psychometry Q&A Act, The Mystic Touch, The Dream, Fears plus ideas on opening act and extra bonus to download via private link included in the book. I met Luca for the first time this year (2015) BUT I have known of his excellent reputation, particularly in the cruise industry, for many years. When we met it felt like I had known him for years. Even though I’m English and he’s Italian we talk the same language; that language is mentalism. BUT it goes deeper than that, many magicians learn the language but they never learn to speak it fluently like a native. They are certainly passable at being understood by their audiences but the deep understanding that comes from experience is missing. Mentalism is an immersive subject. If you really want to succeed you have to immerse yourself completely and for a long time. Luca speaks the same language as me because we have both spent most of our lives working in the real world for real people. This means that Luca has developed an extremely deep understanding of his art. In other words he’s a very experienced professional and when a very experienced PRO writes about what they have learnt I always pay attention, and you should too. You are about to read a “blue print” of how to succeed as a professional mentalist. You’ll be taught a well-structured 30 minute act, with multiple moments of amazement, that fits into a small box. It can play for 10 to 1000 people. You can make a living with this act alone, but Luca doesn’t stop there. He provides you with ALL of his experience about how to create the maximum impact with your mentalism, how to give it meaning, how to manage an audience, how to promote yourself etc. he holds nothing back and gives you the truth. These are the real secrets and are worth so much more than the latest method to a trick. The title of “Totalmentalism” is well chosen as you are literally getting EVERYTHING. Luca’s experience shines throughout this book. Read it, absorb it and reflect upon it, but remember at some point you need to act upon it so that YOU can start adding to and developing your own experience. I’m reminded of a Latin quote that sums up my thoughts on all of this … “Ars Longa, Vita Brevis”. Art is long, life is shortI had a great time with Luca and learned from his experience…now it’s your turn. Limited to only 200 copies! Each book comes with a post-purchase PDF document granting performance rights. Many are looking for guidance on how to construct a complete show from scratch. While other seasoned performers are asking where they can find something new they can add to their existing show.The Psychic Show is the answer with audience tested routines. Whether you are putting together a new act, an experienced performer interested in adding new content, or are in need of inspiration to get your creative process into momentum –this book is it! The Psychic Show is a complete show that can be performed at psychic parties, clubs, small theatres and private functions. It is a journey into people’s future, hopes and dreams. It is extremely powerful and entertaining. The show has a full and solid structure and concludes with a wonderful Q&A Act for which no preparation is required, as it can be performed in real time. All methods are simple and easy to perform, leaving you to concentrate on presentation. The routines included are very flexible – they can easily be adapted to a classic mentalism show with some modifications of the theme. Full scripting of the entire show is also included. Bonus: You will also get the explanation of another psychic show that packs super flat and can be performed anytime and anywhere. It also includes a new way to perform a Q&A Act! As always, all of Luca’s routines have been tested on real audiences and everything has already been done for you. You only need to learn the routines and perform! This is a show that will make you money! Luca still performs it, with great success and continually receives repeat bookings from it. In this booklet Luca Volpe explains his version of Annemann Pseudo-Psychometry, as performed in his TV Show. 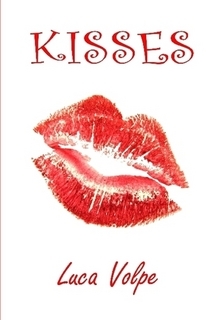 Four ladies are each given a lipstick, a piece of paper, a pen and an envelope and they are each asked to write their signature on the piece of paper and to put it inside the envelope. Once this is completed each lady applies their lipstick and places a kiss on the envelope, the envelopes are collected and suffled while the performer has his back turned.The performer is not only be able to match each lipstick mark with each lady but is also able to tell them personal information about themselves like their star sign, favourite color and much more…information that he couldn’t possibly know! Included in the booklet is an extra finale with a chair test revelation. A new entertaining way to present a psychometry routine that your audience will never forget. After the worldwide success of “Emotional Mentalism”, Luca Volpe is back with the second volume which contains brand new routines for the serious mentalist and psychic entertainer. A new touch on the “which hand plot” with multiple revelations, a great way to energize your audience. This is my “emotional confabulation” routine that I have been performing for many years on cruise ships. You don’t need a special lock to do this routine, everything is examinable, you can even give the lock and key as a souvinir. A collection of rare collaborative work between Luca Volpe and Kenton Knepper, including material only available in this volume. This material will make you appear to be a REAL mentalist, not just a trickster. This book is for people who want to be seen to legitimately read minds, make actual predictions, and assistant in creating positive futures for those fortunate enough to meet a real mentalist. An important audience member brings on stage an envelope signed a week before, along with a newspaper or magazine. This person chooses a few words from their magazine. The signed envelope is opened by the spectator. The performer NEVER touches it. Inside the envelope is a DVD which predicts not only the main headlines, but also the words chosen moments before the envelope is opened. Neither the DVD or DVD player are gimmicked. The person with the envelope is amazed as well as the audience. No stooges. The envelope is not switched. The person in charge actually signs the prediction a week before the envelope is opened. Psychic Vision combines psychological and readings principles turning them into a perfect prediction of someone’s present and future as well as a little of their recent past. The prediction is so startling it gets prospective customers or people of interest to call you! Then you help this person change their future for the better. You predict details of someone’s week, so it is entirely verifiable, and then make their lives better. That’s why people keep coming back for more. Simple, direct, and so believable you should save this for when you want people to believe real synchronicity is taking place. A person concentrates on an issue they are having and selects a message card from one of the popular divination decks. Incredibly, the message they take relates precisely to their issue, without any doubt whatsoever. They get a truly “guided” answer. This bit caused someone to believe in Kenton so much at a magic convention that they refused to believe he was performing an effect. A classic principle in magic is turned into realistic mentalism so easily, you’ll wonder why you didn’t think of doing this before. It is finally available! The highly anticipated PSIUKE’ includes all of Luca Volpe’s previously published works in a single booklet or pdf. The book contains stage and close up routines including the famous ULTIMATE CHAIR TEST ROUTINE and PSYCHOMETRY DRAWING EXTENDED which was a limited release and is now finally available in this book. Also included is a new Luca Volpe routine called “Charlotte Hills” a full act for mentalist and psychic entertainers! Plus you will find incredible contributions and essays from Richard Osterlind, Dan Harlan, Kenton Knepper, David Thiel, Pablo Amirà, David Green, Dale Hildebrandt, Nefesh, Rich Hennessey, Alex Hinojosa, Wayne Rogers and Raimond Doetjes. A great collectors book containing lots of material which is not to be missed out from any serious mentalists library. 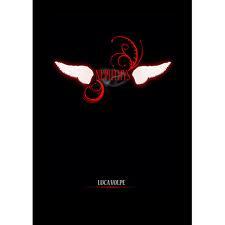 Luca Volpe is a well known Italian mentalist and psychic entertainer. After the success of his book “Emotional Mentalism” he has decided to release a new booklet which contains one of the strongest experiences you can perform. 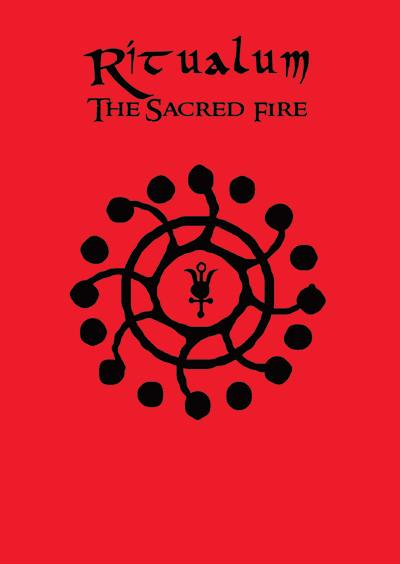 “Ritualum – The Sacred Fire” is a mixture of mentalism and cerimonial magic which will emotionally touch your spectators. Imagine predicting the outcome of their dreams one week in advance, and also giving your spectators a magic ritual to perform for an entire week, which will empower them and create a strong impact in their lives. Ritualum is a single routine/act that will keep you remembered forever. If you are a mentalist, psychic entertainer or bizarre magician, this is something you can’t miss. The book is available to purchase at the incredible price of 20 euro. Please click on the link to go on the lulu page. This work is brilliant I just love it another masterpiece by Luca one of my favorite thinkers. Limited edition Release of my book dedicated to my full Psyichic Parties show. This book contains 100% sure fire routines that will emotionally touch your audience. Special contribution from Neal Scryer, Scott Grossberg, Pablo Amirà, Bryn Reinolds. Limited deluxe collector’s edition (100 copies only) with dustjacket and hardcover with signed and numbered bookplate (see photo below) at 113$ included FEDEX shipping worldwide. I am a big fan of Luca’s work, his creations are brilliant. He is one of mentalism’s innovative thinkers. Luca has stepped out of his boundaries on his latest release in a dimension that you would not believe. He has created presentations here beyond anyone’s imagination. Lets just say he has created a masterpiece, the Rembrandt of mentalism. 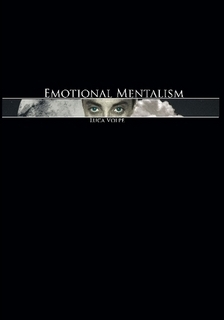 I read “Emotional Mentalism” in one sitting, and was so excited I immediately read it again. Luca has written a wonderful book full of fascinating rituals and experiments using color and crystals. Luca explains everything extremely well, and in great detail. It’s obvious that he’s performed everything in the book many times. As well as complete instructions, he provides a complete script for every effect. His presentations are convincing, and technically easy to do. My favorite effects are Crystal Psychometry and The Energy Portal, but over the next few months I’m going to experiment with virtually everything in this book. This book is essential reading for every mystery performer, and everyone who wants to create what Luca calls “unforgettable moments of wonder.” Highly recommended. Who needs electronics to decipher which hand an item is in? With Luca’s amazing Stone of Destiny, you too will hold this power!Two crystals are freely chosen by your spectator out of a group of five. They hide one stone in their left hand and one in their right. This is a completely free choice. There are no gimmicks and the performer’s back is honestly turned throughout the selection and hiding process. After you turn your back you will know which stone is and in which hand, also you will be able to give a perfect reading in base of which stones are chosen related also to whichever hand they are concealed within. The ‘Horus’ contains some of Luca Volpes best kept secrets from his professional repertoire. Mixing a blend of clever thinking and easy to do methods, which creates stunning effects. Each routine is audience tested and contains everything you need to perform the effects, from the script to plenty of bonus tips. No complicated props to build or expensive items to buy, but just pure mentalism that is suitable for stage and intimate performances. Also included is a special graphic design which allows you to perform one of the effects that Luca Volpe has never revealed… until now! THE “HORUS” EYE – A randomly chosen spectator is able to visualize an image, symbol or word that is sealed inside an envelope. HALLUCINATION ACAAN – Any card at any number with a hallucination plot. DOUBLE CONTROL – My personal twist to the E.S.P. chair test routine- that you will use !! P.D.R. – An incredible Psycometry Drawing Routine that play’s big, with a clever method! PEEK ENVELOPE – An utility device that you can build with less that 50 cent and is incredibly versatile! IMPOSSIBLE PREDICTION – My limited release manuscript is now here! You can predict what a randomly chosen spectator will be wearing and how much money he will have in his pocket! All the routine, plus bonus tips and extra handlings! 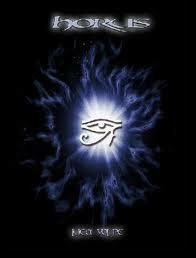 Following the great response from his first book “HORUS” Luca Volpe returns with his second work “NEPHTHYS”. In this ebook Luca Volpe has incorporated many psychological aspects and basic methods to create mindblowing experiences that are 100% surefire!! All of the effects come complete with script and performance tips. DIRECT BOOK TEST (No gimmicked book test) : A spectator is called on stage and you ask him (or her) to choose one of three books (no gimmicked books!) Once he has chosen, you ask him to open at any page he wants and to read the first word on the page. You take a blank business card, write something down and put it on the table. He tells you the word and turns the card to see the exact same word written on it. You ask him to open the book at the same page but to read the last word this time. You tak the card that is on the table and on the other blank side you write something, again this word will be exactly correct. You tell him to turn to the page after the one he chose and to read either the first or the last word on this page, without fishing or anything suspicious, you tell him the same word that he is thinking! SIXTH SENSE REVISITED : Call a spectator on stage, tell him to take a coin behind his back and to hold it in one of his hands, you also do this at the same time. He then brings his hands out in front and you do the same in front of you. Ask the spectator to open the hand that holds the coin and you then reveal that you hold the coin in the same hand asthe spectator. You do this 3 times in a row! person opens the MMS to find the exact duplication of the image that he was thinking of. DEJA WORDS : A spectator chooses a random word from a packet of different words under hypnotic suggestion. An envelope, that was present on stage throughout, is opened to reveal the word that was chosen by the spectator. At theend of the experiment the spectator believes to have been hypnotized. This manuscript contains Luca Volpe’s best stage routine, but pay attention as it is NOT just a simple chair prediction routine, this is a COMPLETE ACT of 8 minutes that will leave your audience blown away! We will not describe the effect here as it is so well conceived and well structured that you need to read the manuscript to believe it. The only thing that we will say is that you don’t use N.W. or anything like that, the envelopes genuinely have the numbers printed on them and it involves a method so bold that I am sure you will love it. Luca Volpe has for the majority of the time performed this as a stand alone piece for TV guest appearances or corporate events because it is so strong that you can’t do anything else after it. So, if you want to ‘kill’ your audience with a strong multi-phase stage chair routine and get a standing ovation, this is the chance to get your hands on the manuscript. In the manuscript you will find not only the routine and the method but all of the script and bonus tips to enhance your performance. The ultimate chair test routine act includes a serial number revelation connected with a combination lock routine. A four chair prediction in which the spectators choose envelopes with printed numbers – a bold method is used. For the finale you are also able to predict what one of the chair test spectators will be wearing and give him a descriptive prediction of his personality. And much more…!